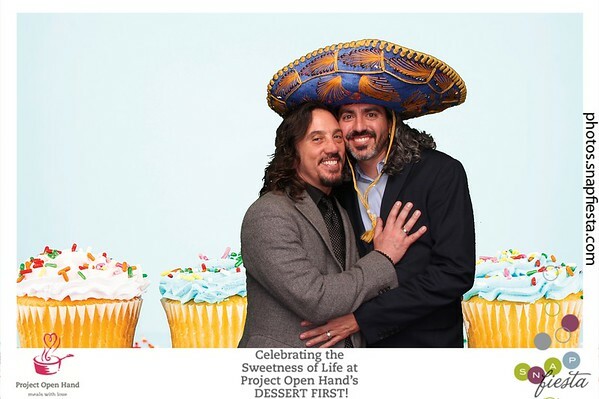 San Francisco’s sweetest event of the year was no doubt Project Open Hand’s Dessert First fundraiser, hosted at The Four Seasons with the support of Macy’s, Ghirardelli, and Whole Foods. 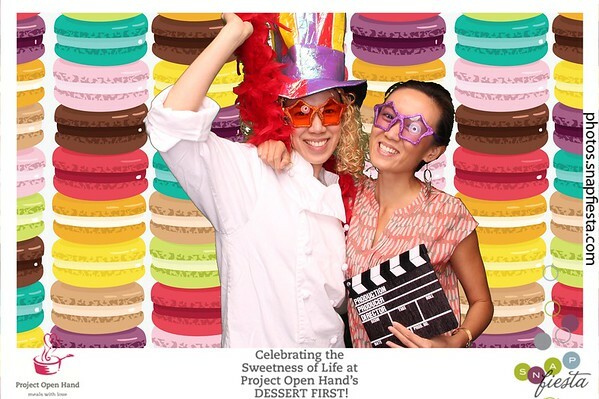 Guests were welcomed for an afternoon of silent auctions in a grand ballroom packed with an endless variety of macarons, eye-catching cupcakes and cream puffs galore, and countless other mouth-watering selections such as chocolate & bacon donuts and jelly-filled champagne sorbet. Rocking live music was performed and the energy (or should we say, sugar) level buzzed as people enthusiastically took to the dance floor. 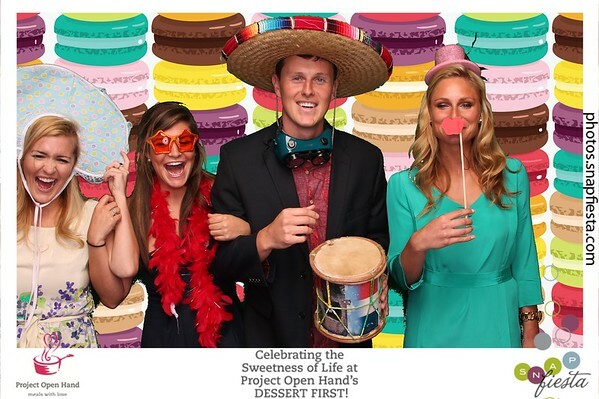 Our green screen photo booth was among the featured activities for guests, along with a postcard station riddled with stamps and colorful markers. During the VIP reception, we also had our flipbook station running as VIP attendants participated in a sprint mixology competition. There was a little something for everybody and, it’s safe to say that with a theme like “dessert first”, everybody had an all-around blast. It certainly looked that way in front of our cameras! Check out the slideshow from the FlipFiesta fun! View the flipbooks video montage and gallery here. 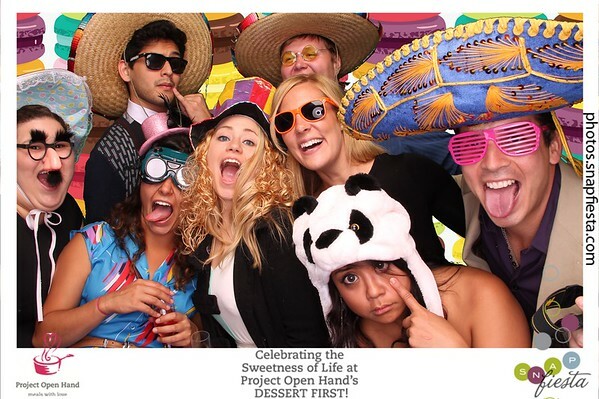 View the photobooth image gallery here. 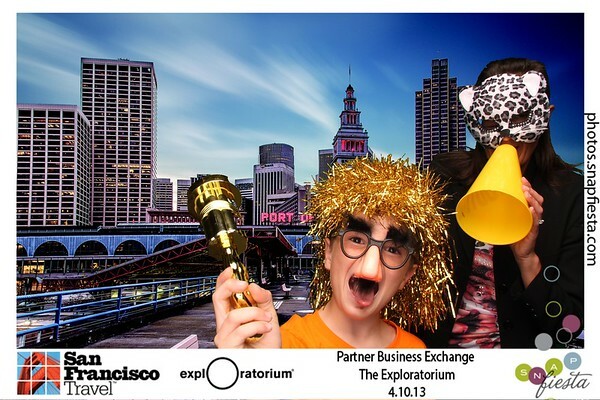 SnapFiesta officially launched our newest service: FlipFiesta Flipbooks, at the Exploratorium‘s brand new home at Pier 15/17 on April 10th, 2013. We got an exclusive sneak peek inside before the museum held its grand re-opening to the public thanks to our partnership with SFTravel, hosts of the spring Partner Business Exchange. 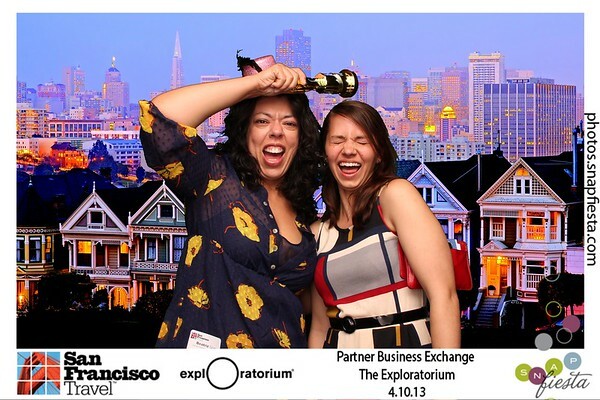 The bustling mixer brought together hundreds of Bay Area SFTravel partners for an evening of networking, gourmet bites, and top-notch spirits. 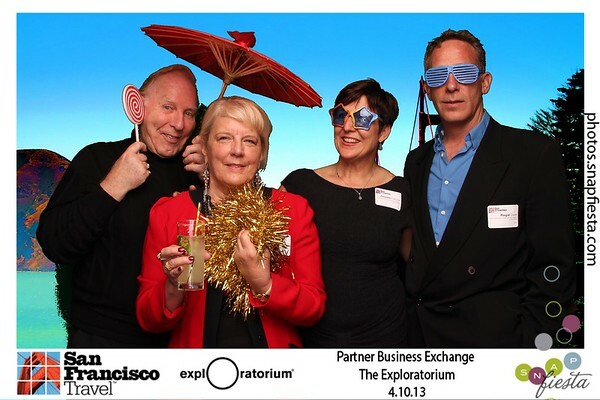 Of course, guests also got to get hands-on with the Exploratorium’s famously interactive installations of mesmerizing arts and fascinating sciences. 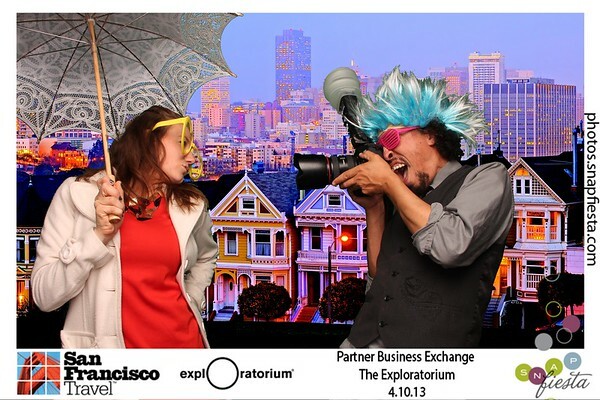 Those that stopped by our SnapFiesta photobooth studio were whisked away to various San Francisco attractions and nightlife scenes via our green screen technology. Over at our FlipFiesta studio, guests were thrilled to discover the unique and novel flipbook experience we offered, which brought an even more interactive, animated, and 3-D version of our professional photobooth experience. We didn’t think anyone would be more excited than we were to launch flipbooks, but the fun-loving partners, families, and museum volunteers that came through our video booth proved otherwise! There was no shortage throughout the evening of mini-movie stars lining up beside our decked out props table to make sure they got in on all the action. We couldn’t have asked for a more entertaining and enthusiastic group to be a part of our FlipFiesta Flipbooks beginnings. Visit the flipbook video gallery here. Visit the photobooth gallery here. How to customize your wedding photobooth! The 5 points to consider before picking your photo entertainment! When SnapFiesta is part of an experiential “Con” marketing activation! Change your point of view thanks to the Ball Pit upside down photobooth!